New research suggests that clonidine, a medication for high blood pressure and attention deficit hyperactivity disorder (ADHD), can enhance buprenorphine’s ability to treat opioid dependence. This combination of medications reduces stress-induced craving and prolongs opioid abstinence during outpatient treatment for heroin or prescription pain reliever dependence, compared to buprenorphine alone. These results show that clonidine, when combined with buprenorphine, could be another tool for clinicians who are treating patients in recovery from opioid misuse. For a copy of the article, published in the American Journal of Psychiatry, and authored by scientists at NIDA, NIMH, and Spectrum Health System, go to: http://ajp.psychiatryonline.org/doi/full/10.1176/appi.ajp.2014.14081014.To learn more about research being conducted at NIDA in this area, go to: http://irp.drugabuse.gov/cptrb.php. NIDA. 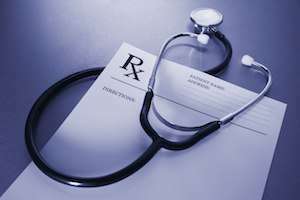 "Medication finds new use in sustaining opioid quit success." National Institute on Drug Abuse, 18 Mar. 2015, https://www.drugabuse.gov/news-events/news-releases/2015/03/medication-finds-new-use-in-sustaining-opioid-quit-success. NIDA. Medication finds new use in sustaining opioid quit success. National Institute on Drug Abuse website. https://www.drugabuse.gov/news-events/news-releases/2015/03/medication-finds-new-use-in-sustaining-opioid-quit-success. March 18, 2015.